Respectful parenting is a learning process that requires us to keep an open mind so that we can perceive our children, ourselves, and the relationship dynamics between us with more clarity. As parents, we’ll probably always be guided by our intuitive hearts, but it can be helpful to entertain the scientist in us as well. While sensitive observation is our most powerful tool for gaining insights about our children and their behavior, scientific studies can also be enlightening and validating, helping us to gain confidence in what we’ve personally inferred. One of the most muddled parenting topics is sleep. Infant and toddler sleep issues tend to be as controversial as they are challenging. In this guest post, scientist and author Alice Callahan, PhD discusses the findings from research on infant sleeping habits and how they stack up against her own practical experience as the mother of two children. My first baby, Cee, was a yoga ball baby. If you’ve had one of these in your family, you know exactly what I mean. We discovered within the first week or two of her life that bouncing quieted her fussing and eventually put her to sleep, and so we adopted this method as part of her sleep routine. Bouncing Cee to sleep worked well for a few months, but then it started taking longer and longer for her to fall asleep, and it was increasingly difficult to transfer her into her bed without her waking. She started waking more often during the night and struggling to go to sleep at all for naps. I tried other soothing methods, but by this time, anything but bouncing just seemed to make her more frustrated. It occurred to me that she was a yoga ball baby not because she was born that way but because we had trained her to sleep with bouncing, and bouncing only. I finally stopped bouncing Cee, and after our usual routine of bath, milk, books, and lullaby, let her try going to sleep in her bed. She protested at first, but then she quickly showed us that she was quite capable of going to sleep on her own. Within a few days, she was finding a gentler transition to sleep – getting comfortable in her own way – and sleeping so much better. My experience with Cee made me realize that we had underestimated her natural ability to sleep, and perhaps our attempts to help her sleep had interfered with her learning process. If we had another baby, could we do things differently, so that our baby’s sleep could develop more gradually? Parenting is a constant learning process. Since Cee was a baby, I’ve learned a few things about infant sleep that helped this process go more smoothly when my son was born four years later. First, I discovered Janet’s wonderful website, Magda Gerber‘s writing, and RIE. This gave me a simple framework that helped me to better understand my baby and find more calm confidence in parenting. When I started respecting my baby as a whole person, really observing her and letting her lead the way, and giving her safe and predictable routines, so much fell into place from there. Second, as someone trained as a research scientist, I started reading hundreds of studies on infant sleep (among other topics that worry new parents). Surely, I thought, science could help answer my questions about caring for babies. That research led to many posts on my blog, and eventually, my book, The Science of Mom (published in 2015 by Johns Hopkins University Press). Incidentally, what I learned from the science often coincided with RIE philosophy and Magda Gerber’s observations of babies from decades before this research was published. How babies sleep is a combination of nature and nurture. 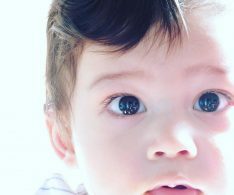 I have to say this at the very start, because I don’t want to imply that infant sleep is always simple or that there is a certain formula to good sleep for every baby. The truth is that nature – a baby’s unique genetic make-up – accounts for somewhere between about a quarter and a half of the variation in infant nighttime sleep patterns.1,2 Sleep comes easier to some babies and harder to others, and if your baby struggles with sleep, it doesn’t necessarily mean that you’re doing anything wrong. On the other hand, this leaves a lot of room for the influence of nurture – the way we care for our babies and the sleep environment that we create for them. As a parent, I found this empowering, and I wanted to know how I could nurture good sleep in my baby. 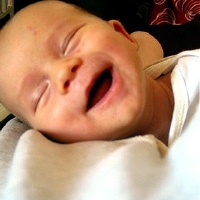 One of the ways that we influence our babies’ sleep patterns is through our attitudes and beliefs about infant sleep. These were measured in an Israeli study that surveyed 85 women beginning in pregnancy and when their babies were 1, 6, and 12 months old.3 The study also evaluated the babies’ sleep, allowing the researchers to see correlations between parenting philosophies and infant sleep patterns. All of these mothers were caring and responsive, but their beliefs about infant sleep fell along a spectrum. Beginning in pregnancy, some mothers tended to interpret a waking baby as a distressed baby who always needed help from a caregiver. These mothers ended up taking a more active role in soothing their babies to sleep, and their babies also ended up waking more during the night in infancy. Babies know how to sleep, and learning to sleep is part of their normal development. Newborn babies sleep a lot, and of course, they slept in utero, too. For the first week or two outside of the womb, babies often fall to sleep easily while feeding or snuggled in our arms, or they’ll drift off on their own after staring at the ceiling fan for a while. Gradually, as they become more aware and stimulated by the world around them, they often struggle more with falling to sleep and staying asleep. The challenge to parents is to support our babies through this normal developmental course and let them continue to practice and adapt their sleep skills. Between the 5-week and 3-month measurements, the London study also found that there was a clear developmental progression in lengthening sleep periods.5 By 3 months of age, 68% of babies were sleeping (or self-settling) for at least a 5-hour stretch during the night, and this was just as likely with exclusively breastfed babies as with formula-fed babies. There was also a big increase in the number of infants that sucked on their fingers or hands during sleep (from 18% at 5 weeks to 62% at 3 months). These babies were finding that a little comfort was as close as their own hands. There is so much happening in sleep development during the first few months. It’s worthwhile for us to slow down and observe our babies with curiosity to see what they are capable of. As their sleep physiology develops, some babies will need more support than others, but we can start from a place of believing our babies are capable of sleeping and finding ways to let them practice this skill. Babies who are able to go to sleep on their own are more likely to be able to resettle themselves during the night. You can nurture both autonomous sleep and secure attachment in your baby. Each of us tasked with caring for a baby is building a relationship with that baby through our daily – and nightly – interactions. We want that relationship to be one of secure attachment. We want our babies to know that we are here to care for them, that we will listen to what they are telling us and respond appropriately to meet their needs. This secure attachment gives babies the confidence to explore and learn, knowing that they can always come back to us for support if needed. In addition, running to hush a crying baby as quickly as possible won’t increase secure attachment.16 As these authors put it, “…mothers of securely and insecurely attached infants are not different in terms of how frequently they respond to their infants’ signaled awakenings; they are different in that, when they respond, mothers of securely attached infants are more likely to respond sensitively and consistently.”14 Being sensitive to your baby’s needs (including the need to sleep) and being consistent (including when you make changes to your sleep routine) are vital to healthy attachment, and you can absolutely be both while encouraging independent sleep for your baby. Alice Callahan is the author of The Science of Mom: A Research-Based Guide to Your Baby’s First Year. You can find more of her work on her blog, Science of Mom, and her Facebook page. Alice (and I) welcome your comments and questions! Touchette, E. et al. Genetic and Environmental Influences on Daytime and Nighttime Sleep Duration in Early Childhood. Pediatrics 131, e1874–e1880 (2013). Fisher, A., van Jaarsveld, C. H. M., Llewellyn, C. H. & Wardle, J. Genetic and environmental influences on infant sleep. Pediatrics 129, 1091–1096 (2012). Tikotzky, L. & Sadeh, A. Maternal Sleep-Related Cognitions and Infant Sleep: A Longitudinal Study From Pregnancy Through the 1st Year. Child Dev. 80, 860–874 (2009). Tikotzky, L. & Shaashua, L. Infant sleep and early parental sleep-related cognitions predict sleep in pre-school children. Sleep Med. 13, 185–192 (2012). St James-Roberts, I., Roberts, M., Hovish, K. & Owen, C. Video Evidence That London Infants Can Resettle Themselves Back to Sleep After Waking in the Night, as well as Sleep for Long Periods, by 3 Months of Age. J. Dev. Behav. Pediatr. 36, 324–329 (2015). Anders, T. F., Halpern, L. F. & Hua, J. Sleeping through the night: a developmental perspective. Pediatrics 90, 554–60 (1992). Burnham, M. M., Goodlin-Jones, B. L., Gaylor, E. E. & Anders, T. F. Nighttime sleep-wake patterns and self-soothing from birth to one year of age: a longitudinal intervention study. J. Child Psychol. Psychiatry 43, 713–25 (2002). Mindell, J. A., Sadeh, A., Kohyama, J. & How, T. H. Parental behaviors and sleep outcomes in infants and toddlers: a cross-cultural comparison. Sleep Med. 11, 393–9 (2010). Sadeh, A., Mindell, J. A., Luedtke, K. & Wiegand, B. Sleep and sleep ecology in the first 3 years: a web-based study. J. Sleep Res. 18, 60–73 (2009). Touchette, É. et al. Factors associated with fragmented sleep at night across early childhood. Arch. Pediatr. Adolesc. Med. 159, 242 (2005). Anuntaseree, W. et al. Night waking in Thai infants at 3 months of age: Association between parental practices and infant sleep. Sleep Med. 9, 564–571 (2008). Morrell, J. & Cortina-Borja, M. The developmental change in strategies parents employ to settle young children to sleep, and their relationship to infant sleeping problems, as assessed by a new questionnaire: the Parental Interactive Bedtime Behaviour Scale. Infant Child Dev. 11, 17–41 (2002). Adair, R., Bauchner, H., Philipp, B., Levenson, S. & Zuckerman, B. Night waking during infancy: role of parental presence at bedtime. Pediatrics 87, 500–504 (1991). Higley, E. & Dozier, M. Nighttime maternal responsiveness and infant attachment at one year. Attach. Hum. Dev. 11, 347–363 (2009). Scher, A. & Asher, R. Is attachment security related to sleep–wake regulation? : Mothers’ reports and objective sleep recordings. Infant Behav. Dev. 27, 288–302 (2004). van IJzendoorn, M. H. & Hubbard, F. O. Are infant crying and maternal responsiveness during the first year related to infant-mother attachment at 15 months? Attach. Hum. Dev. 2, 371–391 (2000). Thank you for sharing your research and experience. My son has always needed help from us to get to sleep and stay asleep. Sounds like we aren’t alone if three quarters of the babies in the study also needed help from their parents getting back to sleep. Are there respectful and light-involvement ways to encourage babies to develop sleep skills? Yes, definitely! My first suggestion is to wait and listen for a minute or two after a night waking to give your baby a chance to go back to sleep on his own. When you do respond, you can try starting with just a little help – soothing with your voice or a little pat, for example, and just progress to more soothing if needed. This worked well with my daughter, but my son was more adamant about wanting comfort in the middle of the night – but it was still worth trying. I’ll also add that sometimes you can hear in your baby’s voice right away that he is really hungry or needs you in some way, and it makes sense to respond right away in those situations. I’ll write more in tomorrow’s post about how we eased my son into more independent sleep – it was definitely a gradual, respectful process. I hope this helps! I too would very much like to know how to nurture sleep skills for my 14m old son who rarely falls back asleep on his own. Thanks!! Hi there, thank you for this post– I enjoy this blog very much and have learned a lot about RIE and parenting. I appreciate the effort to distill the science behind sleep given there is so much misinformation out there. I’m not convinced the studies you cite support your premise though. For example, you say that “there is a tendency to believe that secure attachment depends on constant physical presence and soothing, but this belief is not supported by science. Several studies have found that babies who settled to sleep on their own were just as likely to be securely attached as those who were actively soothed to sleep.14,15” Yet, the first study you cite (Higley & Dozier) states that, “mothers of secure infants were significantly more likely to be characterized by the ‘pick up/soothe’ pattern of interaction than mothers of insecurely attached infants”. In other words, the securely attached infants were not left to self soothe but were picked up and soothed by a caregiver. The second study you cite (De Wolff and van IJzendoorn, 1997) found that “sensitivity (i.e., the ability to perceive the infant’s signals accurately and respond promptly and appropriately) is a better predictor of attachment than contiguity of response (i.e., the promptness or frequency of the mother’s responses, not taking into account appropriateness).” In other words, responding to an infant’s signals promptly and sensitively is a better predictor of attachment. It’s possible that I’m misunderstanding your point, but it seems to me that the articles you cite indicate that prompt and sensitive responses, rather than self soothing, predicts secure attachment. our babies would be eaten or they would freeze when left alone, that is why primates, our most closely related species tend to keep their babies with them, safe and warm. Babies spend nine months of their life floating in the comfort of a warm environment, with little external stimuli I do not quite understand how anyone can imagine placing a baby onto a cold, firm and still matress and sometimes in a room of their own is a natural process. Yes babies do have to learn to sleep and yes leaving them to scream and not attending to their needs will usually get your baby to sleep night long, at an earlier age, than actually tending to their needs, but what are the long term effects of this? Natalie – I’m wondering if you read any of these studies Alice shared. Also, if you have evidence that conflicts with these findings, please do share with us. I am genuinely very interested and imagine Alice would be as well. Can’t wait for Part 2! I made a big mistake to my 10m daughter. I breastfeed her to sleep :(. We share bed as well. Since this Monday, I have tried to stop that. When I saw her start falling asleep at my breast, I put her down, try to sooth her by singing/talking softly and patting but she protested so much by crying, sitting up, crawling, etc. for about 30 mins or more. She sleeps eventually, sometimes on the bed, sometimes on my belly (she puts her head and upper body on me). I just dont know how long she will protest like this. Can’t wait for your sharing, really!!! Many thanks!!! Thank you for your comment and careful reading. I wondered if this would come up in the comments, and I’m happy to address it. The literature on attachment and sleep practices is really complex, as it’s very difficult to sort out direction of effect (i.e. do sleep practices affect attachment or does attachment affect sleep?). That said, my statement that science doesn’t support the idea that constant physical presence and soothing is necessary for secure attachment is accurate. The second study I cited was Scher and Asher. This is what they found: “Turning to bedtime settling strategies, we compared the group of infants whose mothers reported that they use a strategy that encourages autonomy (n = 33) with the group who was settled to sleep with parental active physical involvement (n = 16)…. A Multivariate Analysis of Variance indicated that the two groups differed significantly (Wilks’ = 4.31, P < 0.01). As indicated in Table 3, the child’s sleep problem, awakening index, and fussiness were all related to the settling procedure at bedtime. Interestingly, the objective sleep measures were also significantly different between the two groups. The sleep of infants who were left to settle themselves to sleep was less fragmented and more efficient. The child’s security of attachment and the level of dependency were not related to the settling procedure." I hope these details help to clarify things. I also wasn't trying to say that self-soothing predicts attachment. I think it's more likely that these are two mostly independent processes, and we can encourage self-soothing in a sensitive way that doesn't interfere with attachment. I also think it comes down to knowing and listening to your baby. I personally focused on encouraging my baby to fall asleep on his own at the beginning of the night, with the hope that it would translate to less signaling for help during the night. During the night, I listened before responding so that I could better understand what my baby needed. It wasn't always feeding – for example, sometimes a quick lullaby and pat from dad was all he needed to feel reassured and return to sleep. I love this! It’s so true. Just because my baby is protesting going to sleep doesn’t mean I need to do something about it. If I know he’s fed, warm, safe, in a clean diaper etc., I can give him space to fall asleep on his own. That does NOT conflict with secure attachment. This is a very wise comment. I really appreciate your observation of your baby’s abilities to handle sleep on it’s own. the thing about results like science saying, in so many words, this thing we are all hesitant to do and worried about, we tried it, and it wasn’t obvious there was any harm… i just don’t take those kinds of results as endorsements. it’s like how there are “safe levels” of exposure to toxins. it may turn out to be true, or it may actually be predisposing you to cancer many years down the line. a scientific study just cannot be certain that “good enough” is AS GOOD AS the other alternative. thus, the precautionary principle. now, i don’t disagree that you should listen and be receptive to what baby is actually saying. calm energy means not rushing to respond in most cases, because a skinned knee, a night disturbance, these are NOT emergencies, and i certainly believe in trusting the kiddo to have resilience in these circumstances. but when the eons of human evolution have prepared us with cosleeping, where baby can breastfeed while the parents barely awaken, or wake and feel a little discomfort but then go, oh, no worries, my parents are *right here* (like they should be), so they again don’t have any kind of escalation of distress, they just go back to sleep; when this is our evolutionary background, how can a baby know that we’ve changed the way we go about this whole being-humans thing? it can’t. so if science says it’s safe to do non-communal sleep (though, it’s worth pointing out, only the baby does, adults don’t sleep alone! ), i think it’s still consistent with science to practice the precautionary principle, and say, nope, baby belongs with us. (though there are safety exceptions, RIE & other very conscientious gentle parenting approaches preclude most of these things, like neglectful/abusive habits/behaviors, so being on drugs or alcohol not really applicable to this community, i mean you couldn’t even breastfeed). also absent from most discussions about baby sleep is something that should be connected from the world of psychology but rarely is: there are pathways in the brain that become strengthened in infancy & early childhood that will dominate for life unless strongly, deliberately interrupted with extensive therapy. if early life experience is one where the fight or flight response is frequently triggered, that kid may be “healthy” and even “very securely attached” but they will also have an anxiety disorder. if during times of distress, the fight or flight response does not frequently have opportunity to trigger, but the calming pathways of the brain are triggered (whether by loving attention or silent presence—or by self-soothing if the child happens to be adept), then that child will have grown the “muscles” of calm and resilience which they will bring to bear on every problem & obstacle in life. regardless of what science may say is “good enough” for a kid’s attachment, i know what i want for my kid. plus, Dr. Robert Sapolsky of Stanford (amazing researcher & lecturer) would argue that having a well-developed stress response is actually quite unhealthy and will shorten your life span (check out “Why Zebras Don’t Get Ulcers”, for instance). nothing in this article is directly at odds with what i’m saying, but the current mainstream culture around infant sleep is one in which the discussion hinges so much more around whether or not you can let babies cry it out, and pretty much everyone who stumbles onto this article looking for a gentle parenting endorsement of CIO is going to misinterpret it, if you ask me, because while speaking to a RIE audience who would never be heartless or neglectful to a baby, it fails to rehash details i think we all get at this point, but visitors would not necessarily. namely that although some babies MAY be capable of doing a moment of stirring and vocalizing, most likely right next to us (not in another room) and then drifting back off without our intervention, allowing this process is different than *ignoring* the baby, because the decision not to intervene was the result of being VERY attentive to baby—so attentive that the parent can hear the difference between the need for intervention & the normal, healthy, momentary emoting of a baby between phases of sleep. and i think citing the “good enough” articles does muddy the water a bit. i think the message not enough parents are getting is that sleep can be so natural and simple: just wear the baby when it’s little, and it will sleep and eat when it decides to, and will learn this kind of natural self regulation of its needs when we don’t fuss with it or try to lay it down to nap in an unnatural environment at arbitrary times in strangely still & silent moments. the 4th trimester will fade out and baby will have trained itself to know when it wants to sleep and eat, all that training happening in the safety of being next to the parent. don’t put the baby down to sleep, just live your normal adult life, and when YOU go to bed, baby will join you. baby may have fallen asleep sooner, or maybe not, and either one is okay. the habits of laying down in the dark each night for an extended period of sleep isn’t particularly natural for an infant (comically, their sleep cycles are 45 min compared to our 90-min cycles, and they eat round the clock at first, in between these cycles). but they learn we all snuggle up together for bedtime each night, safe in our collective company, and they learn the habit & develop diurnal rhythms gradually through this nurture. when they wake up in the night, hungry or a bit disconcerted, there’s a breast right there, and a warm family right there, and the baby doesn’t have any need for alarm, baby just goes, oh, okay, i know this safe place, and will do what it needs before going back to sleep, but will not have a panic response because it will feel safe (evolutionarily, a baby *would* feel unsafe out of arms reach of a parent in the dark of night). there’s very little that is anything but calm and routine and low-key about this, and this is a very important part of modeling for baby. we don’t put effort or build up big expectant routines around baby & sleep, and this is the calm energy that informs baby that sleep is not a big deal. like with all other things, we do our adult thing, and baby will slowly, eventually, get the hang of it when they are developmentally ready. and we’ll be there, without judgment or evaluation, just accepting the changes as they naturally happen. if we can have RIE articles & podcasts that give such specific advice about waking situations & behavior (don’t force tummy time, don’t prop up), why not for sleep? what i don’t understand is why we’re NOT saying certain things. society has gotten so used to cribs, sleep training, creating quiet for “nap time”, etc, that people have no realization it’s all so much easier and low-key. do nothing, baby will sleep when tired, especially when you’re busy with noise and movement. they are not born accustomed to quiet and stillness, and they don’t need it! the only training needed is the calm and effortless example of the adults’ own routine, which the child will adopt in due time, also with calm and effortlessness if we just let it be. It can be difficult to understand the RIE approach without recognizing that it stems from an entirely different perception of babies than the one you have. Most of us who have been inspired by Magda Gerber’s approach consider it a dramatic improvement from the evolutionary model that AP is derived from. We are grateful not to live in times when babies needed to be kept silent, and as passive passengers to adult life. The RIE approach welcomes babies into the world as whole people and active members of society deserving of our attentiveness as they gradually adapt to their new surroundings. We begin a person to person relationship from day one, which includes offering that person a comfortable, peaceful place to sleep and a gentle bedtime ritual, etc. We take great care not to over-stimulate with the understanding that babies are extremely sensitive. Hi thank you for this article. I’m perhaps coming to this quite late but my story is that my little girl(now 19 months) has always struggled with teething. So I’ve always done the normal routine and then left her in her bed on very rare occasions she will happily chatter to herself then fall asleep but the last few weeks as soon as l leave the room she starts (in my mind) feeling the pain from the teeth. She seems to not do too badly in the day but feels it most at night so as i say the crying is normally a sign for me to know that there is some pain as i see her burrowing her mouth into her muslin. The problem is that when she does that i do use the technique where i go in and try and soothe her to sleep which most times requires painkillers. I’ve tried without but her cries are far too intense for me to know that this isnt just attention. But I’ve made the mistake of giving her the medicine waiting for 20 min then lying hr back into her bed and thats when she will then fall asleep on her own. So my question is is there a better way of encouraging self soothing when you think they are in pain? Why are you so sure she’s in pain? It doesn’t make sense that she would only be in pain when she’s laid in her crib to go to sleep. Often painkillers have sugar in them which can cause babies to stop crying. Pain from teething really only lasts a day or two, so if this is lasting a few weeks it is almost assuredly behavioral and not pain. Yes, I think we often overestimate pain from teething! Studies on this find that teething is usually only disruptive for a day or two (see this article: http://www.slate.com/articles/life/the_kids/2015/05/teething_symptoms_in_babies_are_not_as_bad_as_parents_think.html). Maybe you could discuss your concerns with your child’s doctor, in part to ensure that there couldn’t be another cause for the pain, but hopefully to reassure you that your baby isn’t in pain. It’s a good sign that she does eventually fall asleep on her own, and she may just need to consistently practice that a bit more. i’m not sure i understand the concept of baby falling asleep BY ITSELF, in the context of the other scientific fact that infants need to sleep in physical contact with a parent (cosleeping.nd.edu). cosleeping doesn’t, of course have to mean being incredibly interventive, but it means you’re already there. like the recent post by Janet about how sometimes you aren’t trying to stop a baby from crying, just letting them feel and express those emotions, but you’re still *present*, i see baby sleep and disturbances taking place in a context of being present. the idea of a *baby* having its own bed is such a strange and modern concept, unprecedented in our evolution, and for which a baby’s neurology isn’t (and shouldn’t) be prepared. i’m not saying this article is necessarily at odds with this other sleep research, but it feels like a very missed opportunity to point out that babies are healthier in every way, including nearly eliminating the risk of SIDS, and promoting a predisposition toward calm & confidence (as opposed to the fight/flight response being reinforced) when the baby is just nearby. not necessarily fussed with and obsessed over constantly, but just right there. they self-soothe so easily, yes, but in the evolutionary context for which they are prepared. they can slowly transition away from that contact, but they do it on their own, at their own pace, in a self-directed manner, without encouragement from the parents, as they are personally ready. just like we don’t sit them up or give them tummy time, we just trust them to know when they are ready, for all stages of development. and being out of physical contact with the parent is just another one of those (but one they aren’t going to be done with until their “4th trimester” is over, at least, and then they will transition slowly, at their own pace during the next several months or even possibly year or two for some). I think you can absolutely give your baby the chance to practice sleep skills while staying close by, as you say. Most health organizations recommend roomsharing for about the first 6 months, and that is evidence-based due to the reduction in SIDS risk (plus, it’s nice, and often easier!). Bedsharing is trickier, and the research on this is mixed. Many studies find an increased risk of SIDS and suffocation with bedsharing, especially in those first few months of life, although those studies all have limitations and this is controversial. Bedsharing also doesn’t work well for all parents or babies (for many reasons, including sleep issues, alcohol and tobacco use, prescription drug use, severe sleep deprivation or very heavy sleepers, etc), and contrary to what you might have read, there isn’t scientific evidence that all infants *need* to sleep in physical contact with a caregiver or that bedsharing babies are healthier. The approach that I describe in the next post, the one we took with M, was gradual and self-directed, and it worked well for us. I don’t expect it to resonate for everyone, as I think sleep is very personal, and we all have to approach it in the way that feels right for our families. Thank you for this comment. I continue to nurse my 2 year old and we cosleep. I have dound it a very natural way of being with her, allowing her to tell me when she is ready to stop nursing, or for her own sleep space. Other sleep research I have read has talked about the same being its you mentioned and that there is a biological reason for the frequent wakings and they serve to protect the baby. For me, it wasn’t about maximizing sleep ( though I would have loved more), it was about looking at the everything that was happening during the night, what was driving those wakings and how to meet all of those needs. one thing that always frustrates me on this website is that this line is not explained! i write this from a yoga ball- HOW did she show you? WHAT does protesting look like? did she cry for hours or did she fuss a bit? how did this transition happen? Great to see you here on Janet’s site. And congratulations on your book! I love everything here. This is SO valuable to parents and professionals helping parents. So much information out there and I always appreciate how you continue to make the science of it accessible and understandable. I will be sharing this with all of my clients. Thank you for all of your work and writings. I have experienced a number of families who are very committed to attachment parenting and co-sleeping and are experiencing challenges that are leaving the whole family exhausted and/or unhealthy in other ways. They can feel that it is not working well but are struggling with letting go of what they think that should look like in order to be truly open to their child’s demonstrated needs. These are parents who, in theory most want to “follow the child” and yet they are missing their child’s signals that the child needs something other than what the parents perceive as good attachment parenting. Practicing being aware of the lens through which they are viewing and interpreting the child’s behavior and signs can help parents find that greater clarity and, for many, the science does help provide that outside comparison that allows them to name the aspects of their own lens. So thank you for sharing that. Also, having some basic information about what early (and usually very ungraceful) self-settling behaviors look like has been so helpful to many parents. For example, when I explain that flopping their two legs together (mermaid tail style), rubbing their heads back and forth on the sleep surface, and wringing the cloth in their hands are all excellent first, albeit clumsy looking, amateur self-settling activities, I can see their whole paradigm shift. Often what they were reading as not settling down is actually very typical, very productive, and very wise self-soothing skills. For some parents, there is confusion when they start observing and responding to their child according to what the child actually needs rather than what they expected was “good” parenting. They feel sadness and upset even when things are clearly working better for the baby. It has been helpful to be able to speak with those parents about the mourning process and how, even in the light of a happier/healthier child and family, they may experience all the aspects of grief as they process the loss of how they thought sleep would look in their household. Thank you for a great article that I will most definitely be sharing! 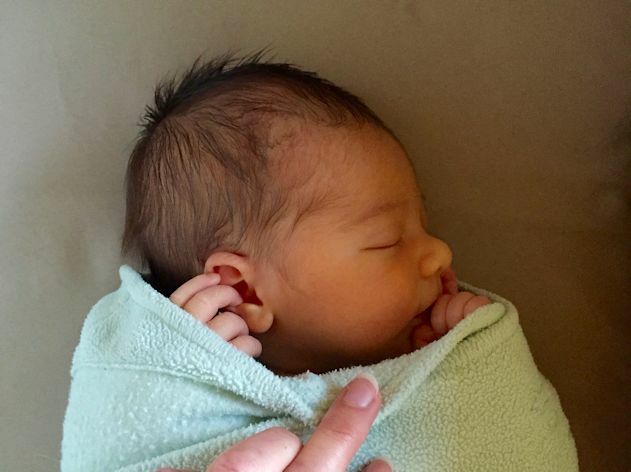 What are your thoughts on swaddling? My 3mo does the “self soothing” techniques you mentioned, yet, I cannot get her down with being swaddled…hence, preventing her from sucking her hands and moving around. I feel conflicted. Swaddled, she’ll sleep about 3.5-5 hours before waking, nursing, and then bedsharing and nursing on demand the remainder of the night. I actually think our bedsharing keeps her more awake, because once I get up in the morning, she’s passed out and content in bed alone. I also shared a bed with my older daughter, so it’s all I know. 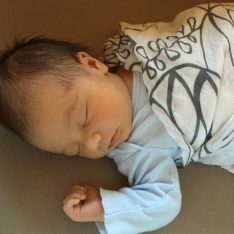 My opinion is that if your baby is trying out these self-soothing techniques, it is a great time to start transitioning away from the swaddle. You can start with one arm out, then two. You might be surprised that she’s ready for this! Once your baby starts rolling, swaddling also becomes a safety issue, so maybe this is your window of opportunity. We stopped swaddling M after the first couple of weeks. I resisted this at first because I was certain that he wouldn’t be able to sleep as well (and we swaddled Cee until about 3 months, so that was what I knew), but he was always fighting to get his hands up to his face and his arms out of the swaddle, and it turned out that he slept just as well in a cozy sleep sack. Also, because I can’t quite tell from your description, I want to be sure you know that swaddling isn’t recommended in a bedsharing situation, so be sure to take the swaddle off if you’re bedsharing. You are so spot on with those early self-soothing signs! I misunderstood them too in the beginning and tried to interfere with soothing but then I realized that it’s the way my baby is getting ready for sleep. Only thing that I need to correct now (at 6 months) is rolling on his tummy because then he becomes more alert and is trying to crawl around crib. I love this article. Thank you. I’m curious about pacifiers. My son is able to sleep great and always has fallen asleep on his own. . . but has a pacifier and so I believe this isn’t really “on his own”. What do you think about when to rid a baby from his pacifier? As said in your article when a baby can fall asleep on their own at night, they can generally put themselves back to sleep on their own throughout the night. I’m finding the pacifier is the problem in my son. If he were to not have it he would be able to put himself to sleep, I believe. Thoughts on this? I think it depends in part on your baby’s age. Pacifiers are recommended to reduce the risk of SIDS (even if they fall out after a baby has fallen asleep), but at some point, they can become a problem if you are having to replace the pacifier all night long. Most SIDS cases occur between 1 and 4 months, so if you are past that period and the pacifier is interfering with sleep, then it may be time to transition to sleeping without it. Neither of my babies were very interested in a pacifier so this isn’t a question that I’ve dealt with personally. Good luck! We have the same situation, except baby is able to settle back to sleep during the night without pacifier (most of the times, there’s about 1-2 night wakings when I hear him trying to settle and offer pacifier, other times if there’s arousal I even don’t notice). I just read the new book “Raising A Healthy, Happy Eater” and authors there advise to get rid of pacifier before 18 months, until it starts to affect palate formation and dentition, and limit pacifier to bedtime around 9 months. I recall that there was mentioned an age until baby has this natural sucking reflex and thus benefits from pacifier, later it’s just a habit, but can’t find the exact reference. Thanks so much for these posts. I know I’m not the only one who read the Science of Mom and was eager to hear how the sleep process went with Baby #2! I appreciate the share. As the mom of a 9.5 month old who *really* struggles with sleep and also as an evolutionary biologist, I want to chime in with what I hope will be words of comfort for other moms who might have babies that, like mine, seemed to struggle valiently with sleep from the get go. I read the first article that you cite here, Touchette et al. 2013 and there are some details in that paper that were very helpful for me. Specifically, the genetic contribution to daytime and nighttime sleep was different; differences in nighttime sleep were more heritable than the differences in daytime sleep. ***This was especially true for the group of infants that fell into the group that they describe as “short-persistent nightime sleepers”. *** Furthermore, there are candidate genes (involved in melotonin production) that have been demonstrated to differ between short sleepers and long sleepers. Does this NECESSARILY mean that if you, like me, have a baby that gets up every 2 hours in the night that it’s correct to chalk it all up to genetics? No. But it also means that the one-size-fits-all recommendations from the child sleep industry (I recognize that I’m painting with a broad brush here) may be especially UNhelpful–perhaps even hurtful–for moms (and let’s not forget dads and other partners!) of babies who are characterized by this particular sleep phenotype. And although it has been well established that sleep training “works”, it’s also well established that the response time and the intensity of the response differs dramatically from baby to baby. I will totally cop to the fact that I am working here to justify/validate my own fears about ‘sleep training’ my son. But I do think the fears (just how horrible *will* his response be?) are quite valid when several lines of evidence point to the fact that at least some of your baby’s struggle is hard wired and that this is truer for some babies than others. I tried very hard not to nurse my baby to sleep in the early days and to give him opportunities to fall asleep on his own. I will never forget the day when the scales fell from my eyes and I realized “he’s telling me that he can’t do it right now!” I started nursing him to sleep then and there and of course he now has that master of all sleep associations. I let him self soothe every night before we nurse and he seems to like/need it (i.e. he falls asleep nursing much faster if I let him flop around/burrow/play with is luvvie for a while first). Sometimes he even turns over and goes to sleep. But those nights are the exception rather than the rule. Sometimes in the night I hear him wake up and go back to sleep. Again–those are the exceptions rather than the rule. I do not dispute that nursing to sleep creates a sleep association that interferes with independent sleep. But I think the potential feedback loop/causality confusion (that moms sometimes nurse to sleep BECAUSE they have a baby that struggles with independent sleep) might be underappreciated. Other interesting specifics from Touchette et al. : even for the short-persistent sleepers, a window of higher environmental influence appeared at 18 months (there’s still time!). Also, note that “environment” includes everything that isn’t genetic. (That’s going to include a lot more than just parental behaviors/interventions around sleep.) Finally, the short-increasing sleep group (i.e. sleep was terrible in the beginning but improved with time) was LESS heritable than the others. So if my baby starts sleeping better ‘on his own’ by age 2, we’ll know it really was my fault after all. Ha! Ok, clearly I could go on and on. Thanks for indulging the comment and for bringing rational thought to conversations that can be so heated. Alice, your claim implies that “nurture” makes up only 3/4 to 1/2 of the variation. But nurture is defined as environmental influences, that’s what reference 1 and 2 measured. In other words, it a measure based on whatever it is that the broad population of parents are doing. It is not a measure of best practices in nurturing. I don’t know if this make much difference relative to the topic of infant sleep. But, in general, it’s best to not confuse a measure of whatever is that the broad population happens to be doing with a measure of best practice. I was wondering if you have any advice for napping older babies/young toddlers. We were guilty of cuddling and rocking to sleep and have just helped out 13 month old learn to sleep on his own. It really wasn’t too hard. He protests naps with screams though and just wants to be snuggled and held which is getting harder and harder and we want him to be able to get himself into nap mode. Any ideas or resources? So much seems to be geared at younger babies and night sleep vs naps. Thank you! Hi – I was a bit disappointed by this article as the title didn’t really seem to match the content. This article doesn’t review the “science” of infant sleep. It reviews the data/stats and perhaps evidence of various sleep techniques. But is doesn’t look at the actual “science” of infant sleep, of what’s going on with the brain & the body – the neuroscience and physiological aspects of sleep. I also suspect the data/stats presented on the various sleep techniques are culturally baised as the topic of infant sleep is so vexed in our western culture. I wish there was more info on the actually neuroscience and physiology of infant sleep – that would really help me with deciding on what techniques I might support. Does anyone have a good reference list on the actual science of infant sleep? I completely agree with you on all counts! That is what I came looking for as well. Thanks for your research Alice. It is so good to see evidence based research in this area. I wonder if you any research which looked at whether or the ‘cry-it-out’ or ‘controlled-crying’ method of settling babies to sleep is good or harmful? I a GP and a lot of sleep clinics locally push the CIO method, which is not something that I subscribe to but I don’t know whether or not there is a right or wrong answer to this?